Italy has some outstanding ski resorts, but they’re not quite as well-known to British skiers as the popular resorts in France and Austria. We want to change that! The Italians do winter holidays like they do everything else – with great emphasis on eating and drinking, and maximum enjoyment. If you’re looking for something a little different, you’ll find that catered ski chalets in Italy offer superb value for money, and the lift passes, ski hire, and food and drink also is generally less expensive than in other Alpine countries. It’s a great place for groups which include non-skiers, and families too. Champoluc is a great destination for skiers and boarders looking for something different – and quieter. As part of the Monterosa ski area, skiers are spoilt by uncrowded slopes, vast off-piste terrain, a variety of villages to explore, and rustic catered ski chalets. At only 1.5 hours from Turin, it’s easy to get to as well. Champoluc is better suited for intermediate and advanced skiiers, but hurry – we don’t think this gem can be kept quiet for much longer! 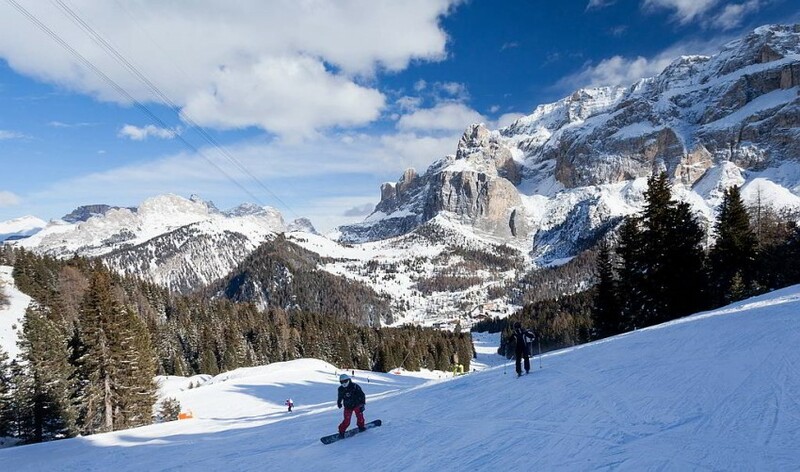 Selva is a good base from which to ski the Sella Ronda, an amazing circular ski route for intermediate skiers. 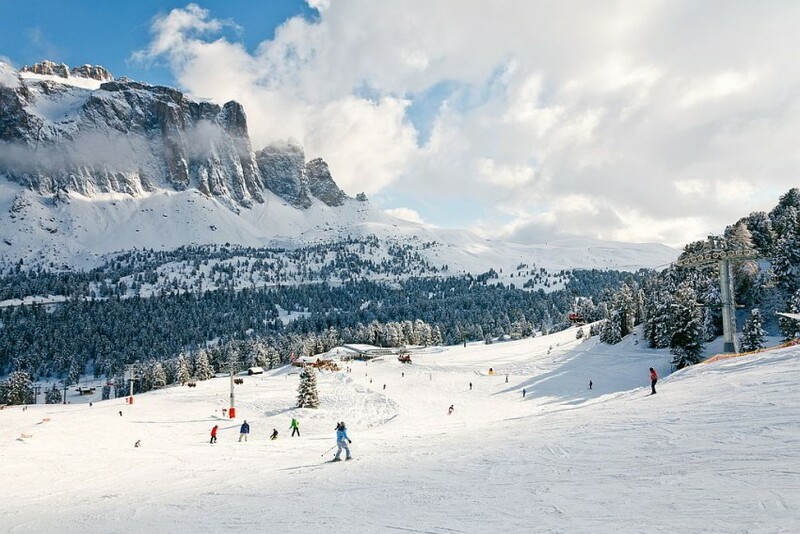 It also has direct access to the Dolomiti Superski area, so you have a huge choice of skiing options. The highlight here though really is the spectacular scenery of the Dolomites, a UNESCO World Heritage Site. Selva used to be part of Austria, so the après-ski is fantastic and very lively. 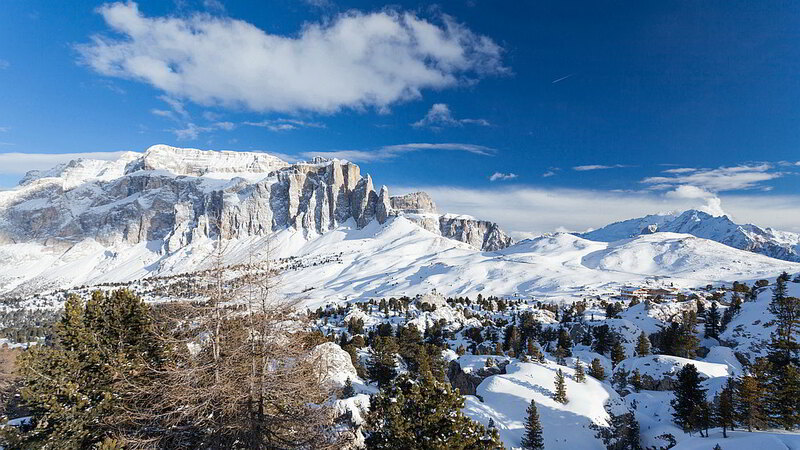 Dolomiti Superski Area – The biggest ski area in the world with 1200km of pistes. We feature chalet hotels in two resorts here, one in Selva and one in Cortina. Monterosa – Located in the Aosta Valley, with stunning scenery and amazing off piste. We offer accommodation here in a chalet hotel in Champoluc. Breuil-Cervinia – A high-altitude ski area near the Swiss border. Well suited to intermediates and beginners with its wide, cruising blue and red runs. The resort is linked to Zermatt for more challenging skiing. We have one chalet hotel in Cervinia. Matt was a delight to deal with – he made himself readily available and was very accommodating to our changing plans. A real plus was Matt’s respect for our preferences – we’ve all been with companies who offer you locations you don’t want or prices way above your budget. This did not happen with alpenglow and i was very impressed with their professionalism throughout. Alpenglow have been extremely helpful and efficient from the very first point of contact . They tirelessly helped us to find our ideal holiday, giving us numerous options and offering endless advice on all aspects from location of chalet to flight options and even equipment hire shops. A personal touch has certainly impressed and we will have no hesitation in booking again with these guys next year. Amazing service, very impressive knowledge of resorts and chalets. How great to find a company that can tick all the boxes!